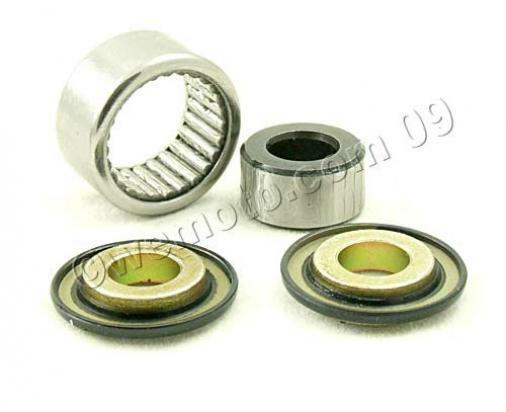 The picture below shows a Monoshock Upper Bearing and Seal Kit. Thousands of other top quality spares listed on our website at refreshingly low prices. This kit contains OEM style cup seals, heat-treated 51200 bearing steel and a needle bearing for rebuilding the shock bearing to factory specifications.